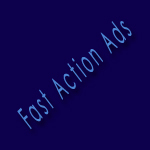 Fast Action Ads aims to bring its members one of the highest quality text ad websites on the market today. In order to achieve this, Fast Action Ads focuses on rewarding its members for being active, providing effective advertising and great customer service. Elite Safelist wants to be more than a mere service provider, but also a place where you feel a connection with the company and its owner. Solomon Huey, the owner of Fast Action Ads, brings several years of Internet Internet Marketing experience, beginning while still in high school. Solomon also loves animals, and currently owns a guinea pig. To give back to the local community, Fast Action Ads will donate a percentage of all profits to various animal charities, mainly focusing on animal shelters in the Sacramento, California area. "A personal promise I also make to my members is that I am here to help you. That means when a lot of other gurus are promoting big product launches, you probably won't see me joining them. Even though I could make a lot of money by doing so, I'd rather pass up a few hundred dollars if it means I save you money on something that you don't need. For example, I promote TE Tool Box and HitsConnect, because I use these programs every day and it helps my business IMMENSELY. I'd rather spend my time improving your experience with Fast Action Ads than figure out how to sell you on the next big launch. If you see me promoting a program, it's because I honestly think it will help you. Yes, I'm here to make money, but I do it by proving that I'm someone that you can trust and honestly wants to help you. That is my promise to you." If you have any questions, suggestions, or promotional ideas, we would love to hear from you to make Fast Action Ads an even better experience.